Please be cautious, working with mains voltage can be lethal. 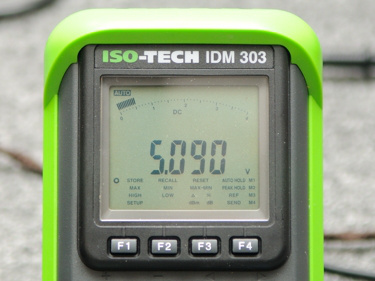 Now is the time for connecting mains, and measuring if all is OK! Oh... Sorry... I guess if you hoped for an elaborate article on testing everything you feel a bit disappointed? Thing is, if you have been careful you should still be alive at this point and you DMM should tell you that your output is spot on. Nothing more to it!